Recently upgraded from 750W to 1200W and £100 less expensive (was £1390). We also sell 3000W Silver and 4500W Gold Phantoms. Earn 1490 loyalty points when you order this item. 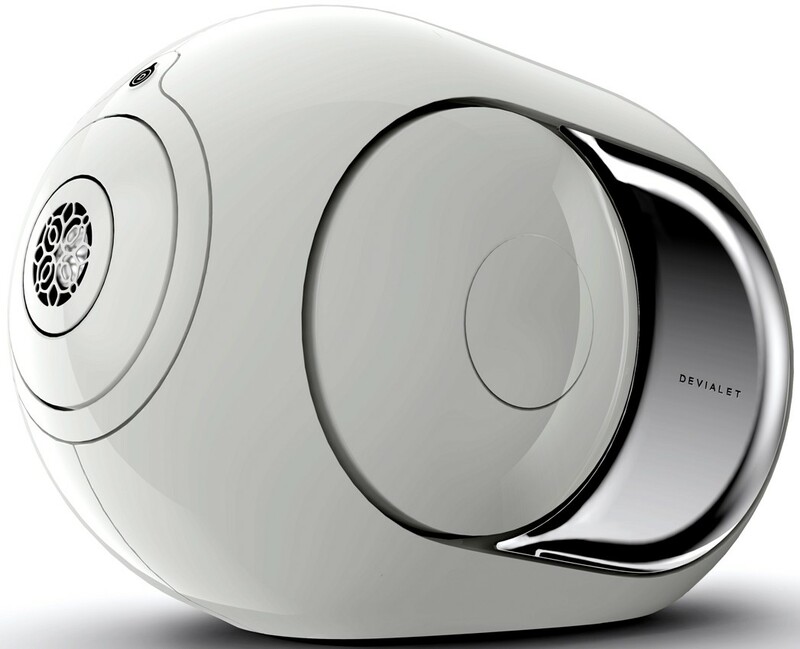 Devialet Classic Phantom has been upgraded from 750W to 1200W and is an ultra-compact, powerful active wireless speaker with impressive 101dB sensitivity, delivering the sound of high-end systems from your iPhone or iPad. By combining analogue and digital amplification, the Phantom Classic delivers top quality audio, with an ultra-dense sound with physical impact free from saturation, distortion and background noise from 14Hz to 27kHz. This Phantom speaker is capable of reproducing music in the 16Hz-25kHz range, which means they can produce very deep bass sounds that are outside of the normal audible range, so you do not only hear your music but feel it too. The Phantom Classic active speaker unveils a richness of your music collection, from sub bass to ultra sharp sounds all upto 1200 Watts and 101 Decibels of power. By using their own patented technology and combined with the latest Bluetooth technology means you can play your music collection via Bluetooth without any distortion. Whatever your music source is, via Bluetooth, Wi-Fi, with Dialog, AirPlay or via optical, rediscover your favourite tunes on the best wireless speaker in the world. 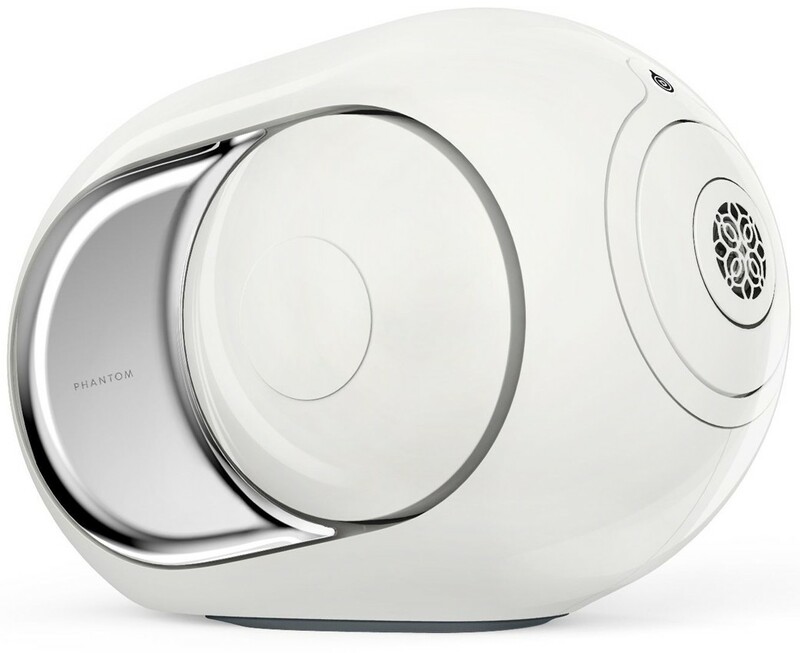 The Phantom Classic is a unique for connected speakers, it emits sound using a revolutionary and superior process created by Devialet R&D. 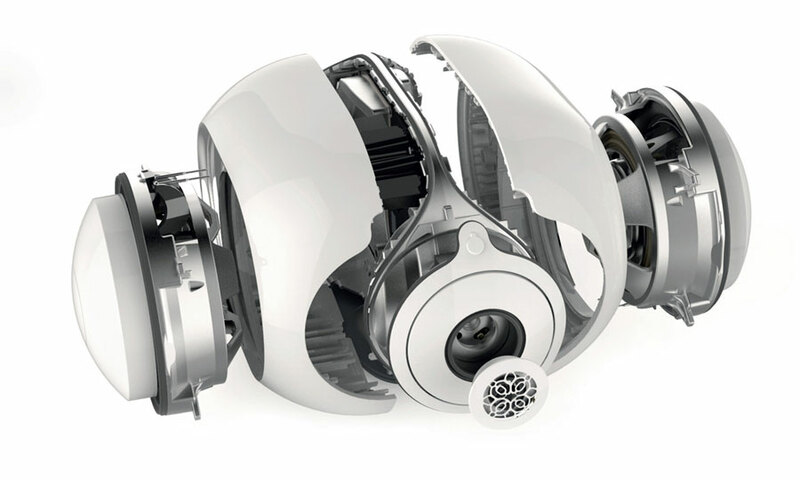 The Patented Devialet inventions of Analog Digital Hybrid (ADH) and Heart Bass Implosion (HBI). Invented and produced in France, protected by over 108 patents, the Phantoms are continually changing the audiophile world of sound. 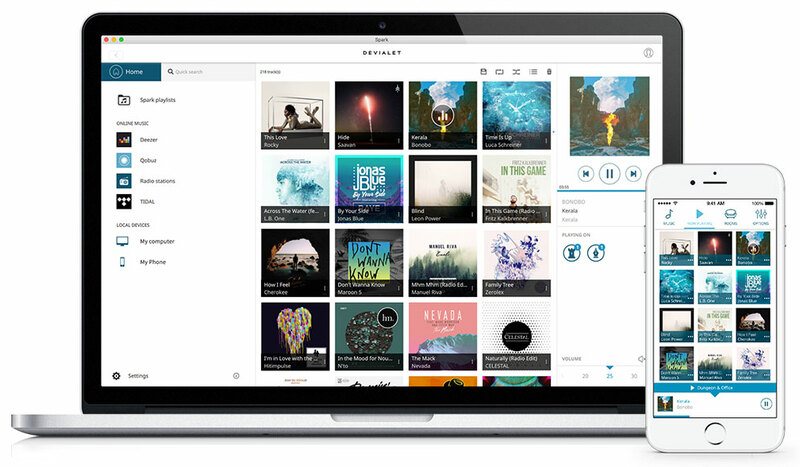 The Phantom is constantly evolving, improving, and perfecting itself as it gets free updates for better performance and new functionalities, such as WebRadio, or integration of new online music services. 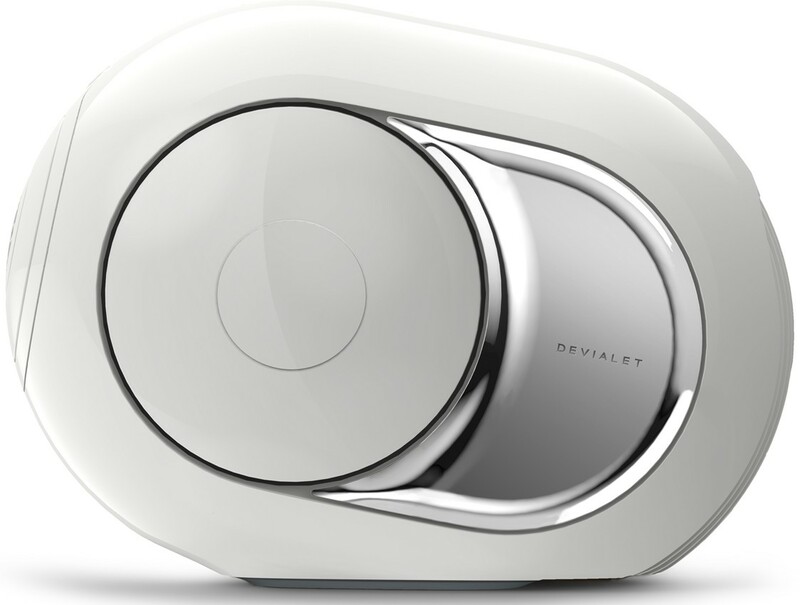 With the Devialet Dialog, which is sold separately, you can connect up to twenty-four Phantom speakers using Wi-Fi for an impressive high-end, multi-room or home theatre audio experience. Phantom substitutes all current systems; Hi-Fi separates, docks, speakers, home cinema or wireless. You can use one speaker for an ultimate dock, or two speakers for a hi-fi system or use three or more to create the ultimate multi-room system. Listening to one Phantom alone is an amazing experience, especially for a compact system. With another Phantom you can unleash a new universe: more dynamic, airy, extreme and completely mesmerising. ADH Intelligence works by managing to utilise the dynamism of Analog amplification (Class A) with the power and compactness of the Digital amplification (Class D). 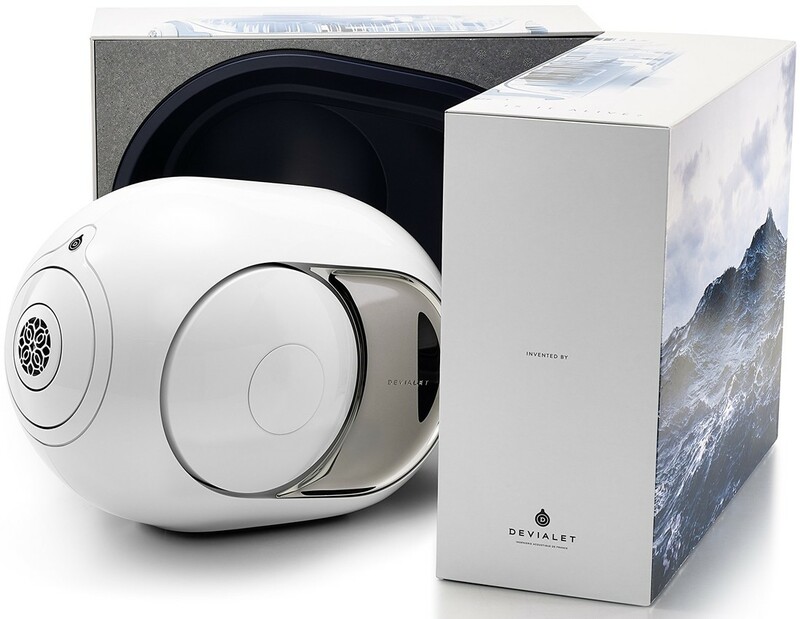 This ADH technology, is also included in Devialet’s Expert products, to amplify the sound signal with utmost clarity and transparency. Developed specifically for the Phantom, the HBI is the only system, that allows for extremely low frequencies to be emitted from such a compact unit. 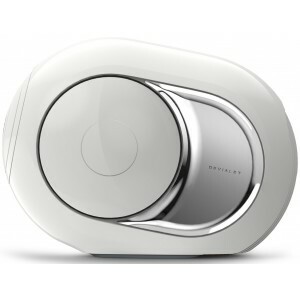 The Phantoms are revolutionary, due to them being built around two air-sealed woofers that function under high pressure. The powerful motion of the side domes produce an ultra-dense sound with physical impact. When combined with ADH, this technology allows the Phantom to reproduce sound at the edge of infrasound (14Hz). The Active Cospherical Engine (ACE) decides the spherical conception of the Phantom, which is perfect for spreading acoustic energy in all directions, linearly Phantom has the perfect acoustic architecture for omnidirectional output with a homogeneous sound no matter the listening angle and without any sound diffraction at the surface of the speaker. Enjoy your playlist at home, whenever, wherever and just as you like whether you want the same music playing in sync throughout your home or a different song in each room, control the volume, link or unlink your Phantom. 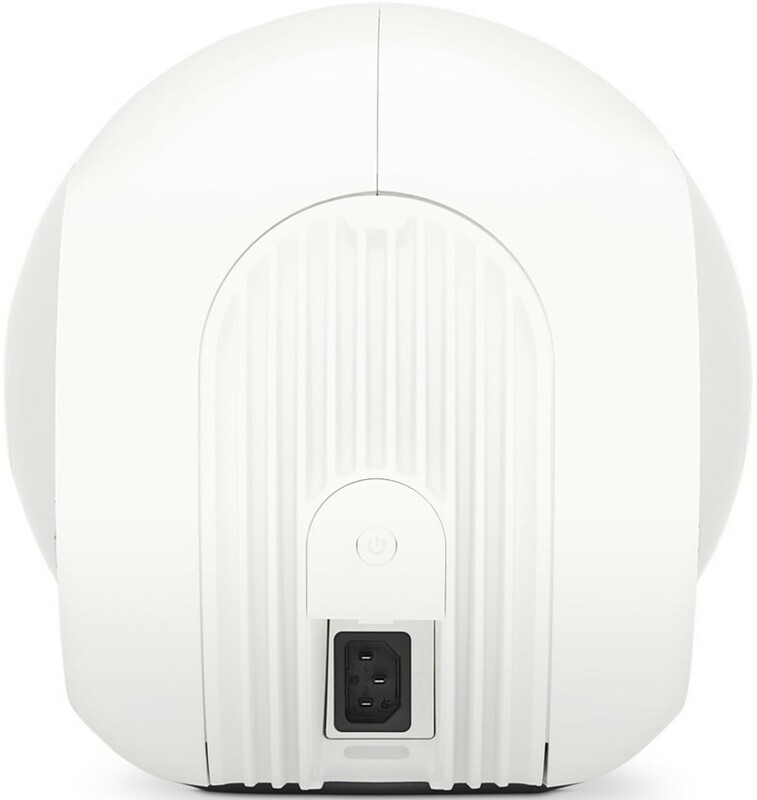 Control all Phantoms simultaneously or separately over Wi-Fi from your PC, smartphone or tablet. Shuffle from one song to another, from one room to another and from Phantom to Phantom. Spark combines the music saved on yours and your friend's devices, allowing you to control music across multiple devices when connected to the same Wi-Fi network.